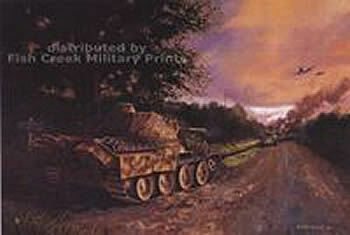 Ernst Barkmann's (Das Reich 2nd SS Panzer Division) solo engagement against the American Armoured breakthrough towards St. Lo. Special order. Call for pricing. 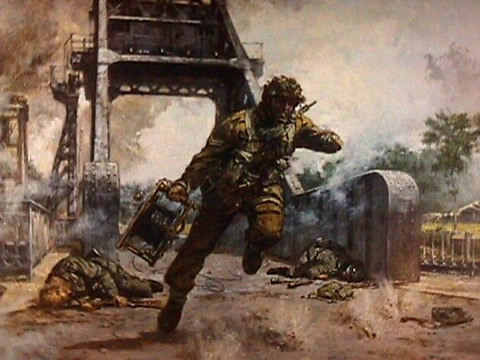 Cpl Thomas Waters, a wireless operator, landed with 5th Parachute Brigade Signal Section, 6th Airborne Div. 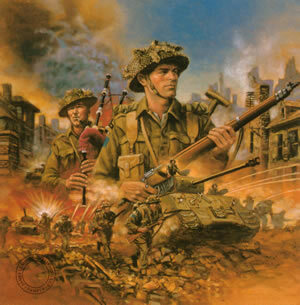 as part of the force sent to capture Caen Canal Bridge. 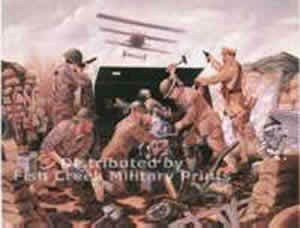 "In All Our Sons Command"
Special order call for pricing. 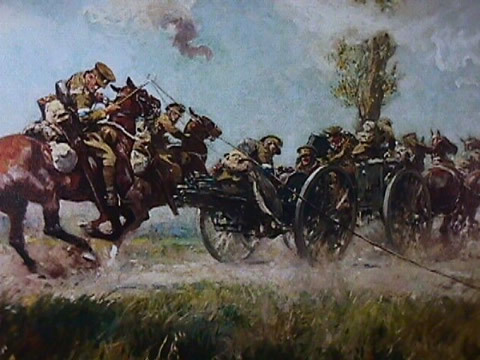 A study of a First World War cable wagon under fire in Flanders in 1914. 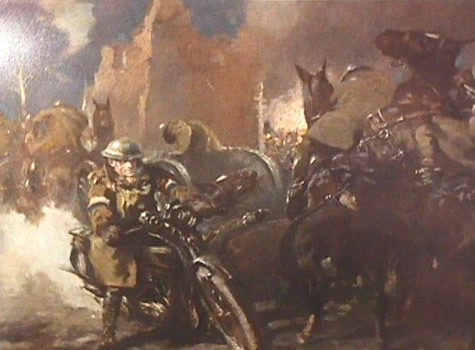 A study of a First World War despatch rider passing the Menin Gate during an artillery bombardment. 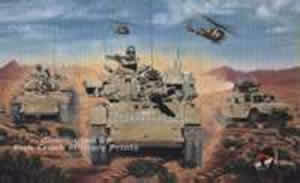 11th Armored Cavalry (Blackhorse) in action as OPFOR, Fort Irwin California. 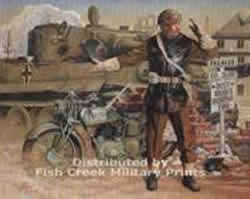 Electical Mechanical Engineering Colonel Commandant, Colonel Murray Johnson has commissioned Fish Creek Prints and Calgary artist Ken Dewar to recreate the moment 80 years ago in the mud of Passchendale when Armament Staff Sergeant A.E. 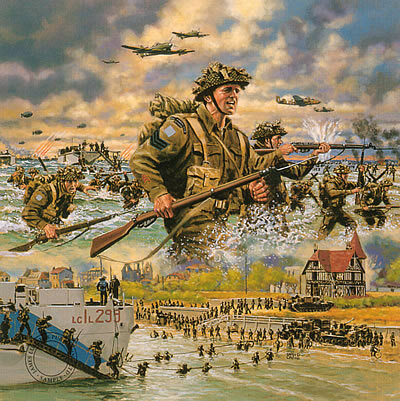 Davis won the Distinguished Conduct Medal "For conspicuous gallantry and devotion to duty. 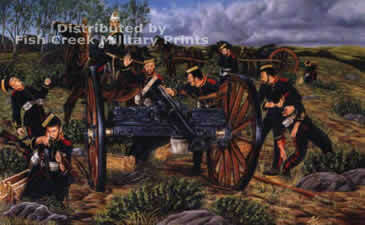 When his battery was heavily shelled and five guns put out of action, after some hours work under fire he succeeded in getting four of these guns into action. 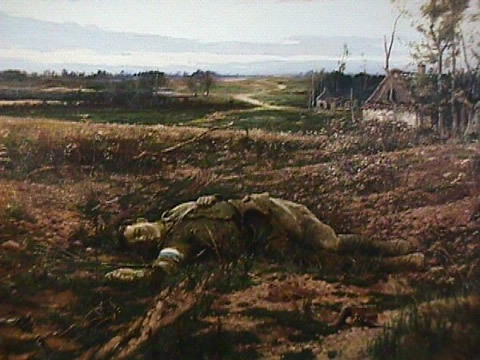 During this time the officer and four men were wounded and two men died. 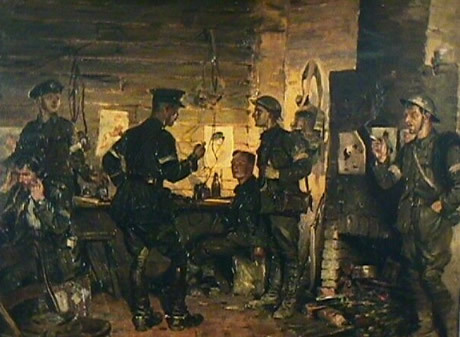 Francis Martin enlisted in the Royal Engineers Signal Service in March 1915, serving in France with a Cable Section until 1917. 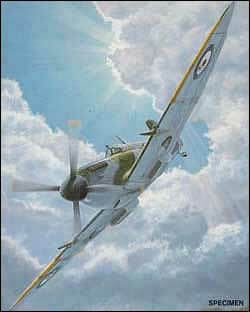 On his return to England he painted Through which made an immediate impact upon all ranks of the Signal Service. 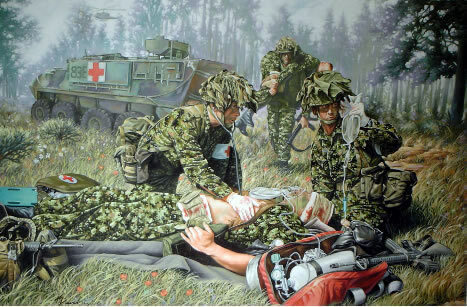 Calgary artist Ken Dewar's magnificent painting depicting the Gunners of Canada's Permanent Active Militia on the heights above Fish Creek during the Northwest Rebellion of 1885 is now complete. 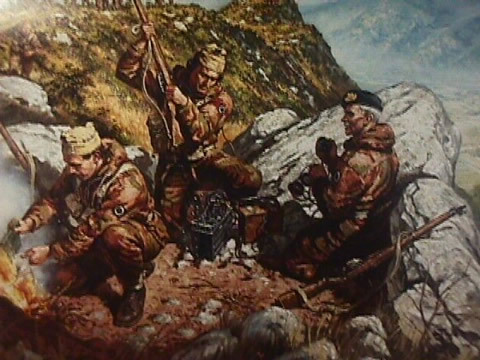 The painting is the result of months of research and accurately captures the first action of Canada's regular army.